The MAESTRO DOM DeMARCO at WORK !!! 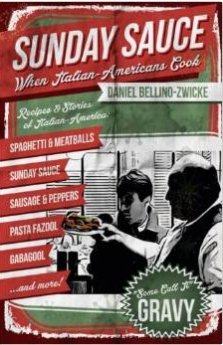 Yes,"Eating Pizza Made by The Maestro DOM DeMARCO Is a Religious Experience! 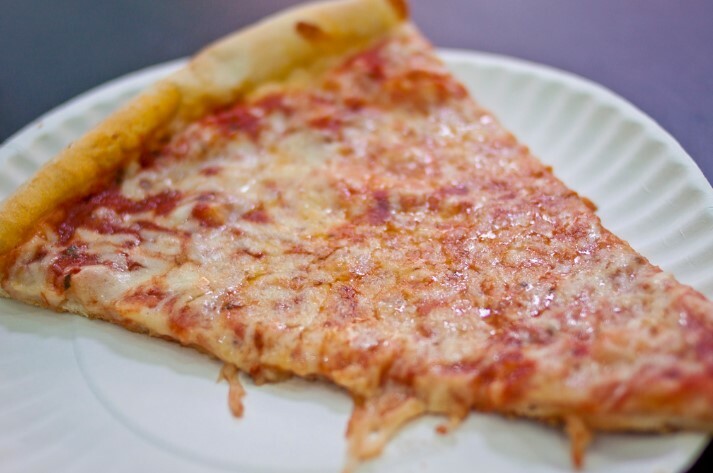 Much has been said of the now famed Pizzeria (DiFara Pizza) on Avenue J in Brooklyn, New York the Capital of Thee Best Pizza in the whole United States of America, bar-none, even Manhattan. Brooklyn lays claim to the Top two Pizzerias in the country, the top of the list 1 and 2, number 1, The Best and number 2, the second best. Well no, I don't know if I should put it that way, as it sound s as one is better than the other, which is not ht e case, as they are both equally good, equally Great and equally the Best Pizza and the Best Pizzerias in the United States, though they are are little different than one another. The Pizza at both Totonno's on Neptune Avenue in Coney Island, Brooklyn, New York and Di Fara Pizza on Avenue J in Brooklyn are both otherworldly specimens of some the Finest Pizza on other and the Undisputed Best Pizza in America. Wow, got off on a tangent about both Di Farra and Totonno's when I just intended to talk about Di Fara Pizza, Dom DeMarco the Maestro of Di Fara's and the Religious experience that it is to go there, watch Dominic masterfully make Pizza after glorious Pizza (without the help of anyone else), to watch in awe and anticipation and Salivation til you finally get yours (after about a hour or hour and a half wait), you hold it in your hand like a precious baby, and then to sink your teeth into it, savoring each wondrous bite after the other. "Yes," it is truly a religious experience, that is, if you are a great lover of this wonderful invention, created in Napoli, spread throughout the the Italian Peninsular and then across the Atlantic to America from Italian Immigrants where Gennaro Lombardi opened the First Pizzeria in America on Prince Street in New York City some 100 years ago or so. 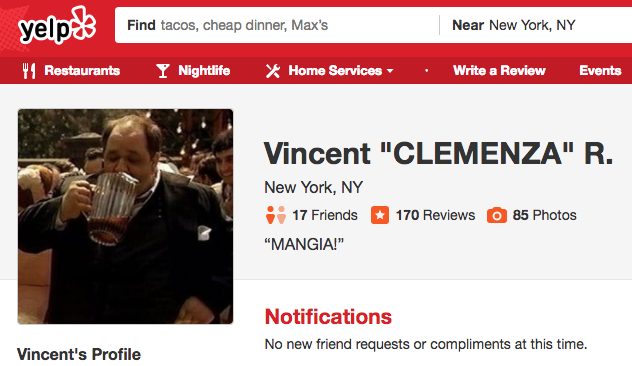 Back to Di Farra and Pizzaiolo Extraordinaire, Mr. Dominic DeMarco. It is Dominic that makes Di Farra what it is, it certainly isn't the Pizzeria itself which is ultra plain and even appalling to some. 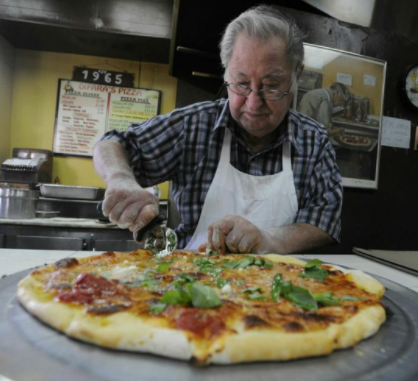 Mr. DeMarco's pizzas are just about as close to absolute perfection in the Pizza Making World, a world in which New York City excels and has only one rival in Naples, Italy and the whole of Italy itself. Mr. De Marco has the magic touch, with perfect dough, the perfect balance of ingredients, tomato and other ingredient ratio to cheese, and this include Mr. Demarcos judicious use of Olive Oil which is right-on and a little magic touch that whoever complains about it, just does not know there Pizza and Italian Food on a whole. We Italians love our olive oil. And those who complain are unaware that it is a condiment that adds the final last touch to many dishes before they are eaten. 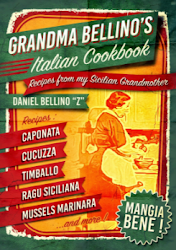 Dominic knows this and should not be discourage against his generous use of it by those who do not understand the proper essence of the Italian Table. 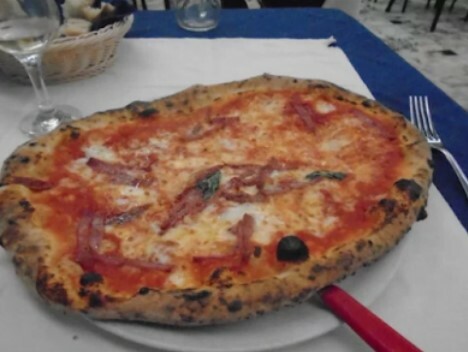 So please, keep your traps shut, if you don't like it don't eat it, this countries finest examples of the Pizza Art. And on to the religious experience of Di Fara, Dom DeMarco and the mans artistry with Pizza. 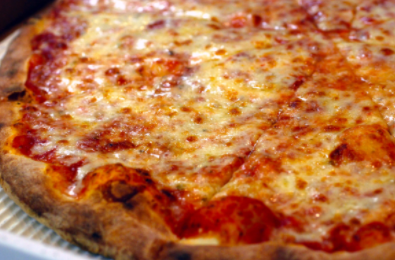 There is nothing quite like it in the entire Pizza World. 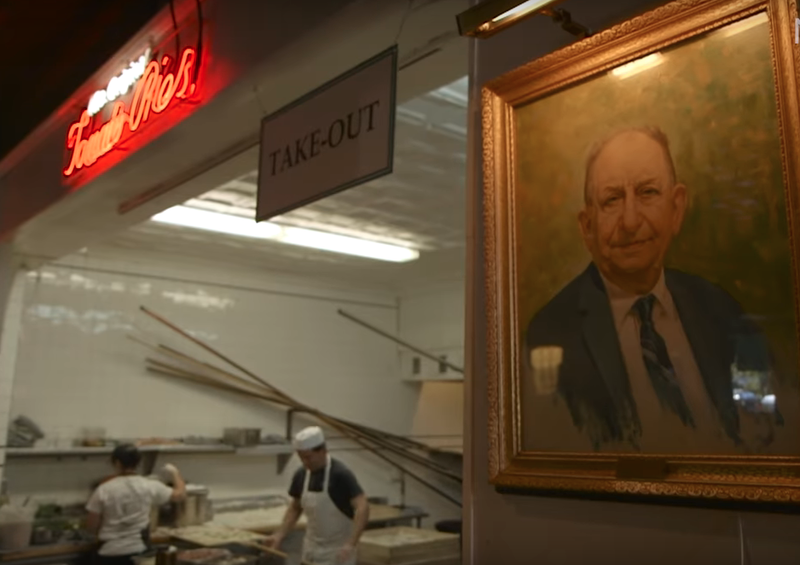 There does not exist, to my knowledge any place in the world that has an elderly man making a hundred plus Pizzas a day in a place that has endless lines, day and night. Pizza that are so perfect, words can not describe People line up for greatness and artistry, and for a couple of slices of the most marvelous pizza this side of Naples, and to watch this passionate little old man work his heart out, not getting, not allowing anyone else to make a pie at his beloved Pizzeria. The man is elderly. He's worked his whole life. He makes such a magical thing that people line up each and every day to see him and eat one of his many masterpieces. With business like this, he could hire to other Pizzaiolos to help him, doubling or tripling his business and and financial intake. He could hire two guys and make pizza along with them, or sit back and get three guys to do it. At his age, he's entitled to. 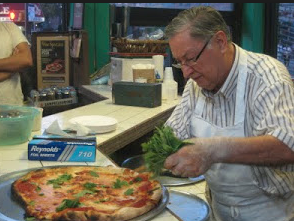 But know, Dom DeMarco loves what he does, he loves his Pizza, each and every one that passes that counter and into thousands of appreciative hands. The man feels that no one else can make a Pizza the way he does; and wants; he grinds chunks of Pecorino Romano in an old hand cranked meat grinder and sprinkles on each pie just before serving, along with cutting fresh Basil onto the Pizza at the last moment after Dom's prerequisite drizzling of the Olive Oil giving two different taste and contrast on the same pie, one baked on (Cheese) and one applied at the last moment, devoid of the hot oven heat. Dom guilds the Lilly, so to speak. This is truth, not just a figure of speech. 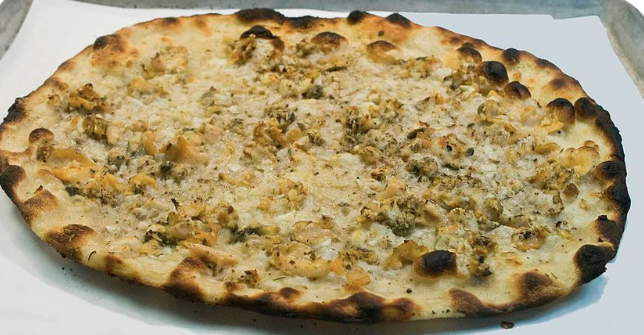 Yes Dom makes each and every Pizza that goes out or is consume on the spot, at DiFara's. 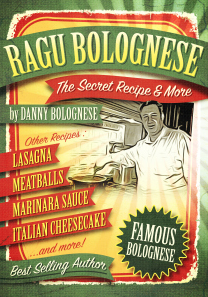 No one else has his skills, his passion and love for the Pizza, thus he does it all himself. 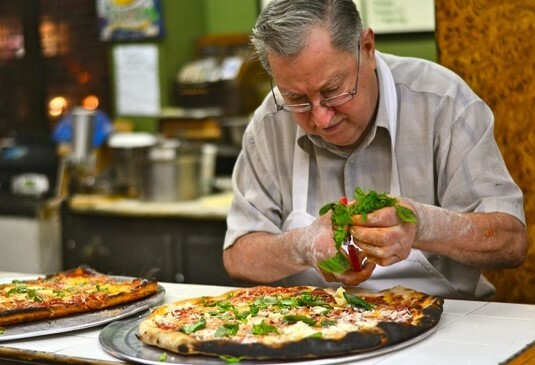 And this my friends is the reason that going to Di Fara's to watch Dominic the maestro in action, all by himself while hundreds of people line up every day, waiting an hour and a half to two hours just to get a Pizza (not just any old Pizza mind you). "It's a Religious Experience." Truly! 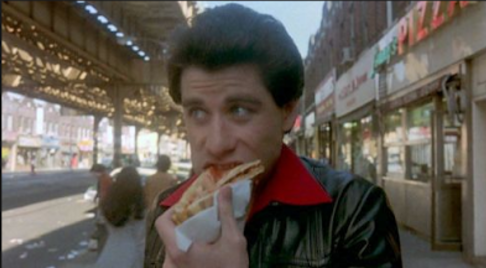 A show and there is nothing like it in the World, Dom DeMarco, a man and his Pizza, America's Best, and something to rival that other World Pizza Capital, Napoli.